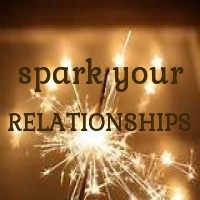 Together let’s spark your RELATIONSHIPS! True heart connection is cultivated by exploring and displaying ever-greater authenticity. And to the best of our abilities, this requires honesty. By becoming more honest with others, we are able to open our hearts. In reciprocation, they will open theirs to us. If we are afraid that someone isn’t responding to us on a heart level, it is our responsibility to bring that honesty and authenticity to the connection FIRST. One example is: I’m afraid you don’t love me, and I don’t know how to talk about it without feeling really vulnerable. I want to get closer to you but I don’t know how.